Sending a letter to request restructured credit terms is, in essence, requesting a change to the original credit contract’s terms and conditions. This is a business negotiation between creditors and debtors and the letter should be set out in a business like manner. There are plenty of debt help companies that will offer to draft and send out credit restructuring letters for a fee. Some, such as the Citizen’s Advice Bureau, will actually provide this service for debtors for free, but this can mean waiting many weeks for an appointment. The basic credit terms restructuring letter is much the same as other business letters in lay out. However, a believable, professional, and realistic request to restructure credit terms can make a big difference to whether or not the request is granted. The best time to send a credit restructure request will be as soon as the debtor realises that they cannot realistically keep to the original agreement. This may only be a short term financial problem, and if so, the creditor should be made aware of this in the letter. If the debt problem is considered a long term problem then the restructuring process should include reduced payments or a longer credit repayment period. The letter should be seen as a negation not a demand. It is crucial that debtors sit down and plan out the new credit restructuring plan before writing the letter. The terms should be a realistic option for both parties. 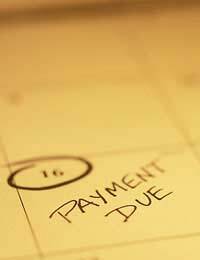 Debtors should only offer a repayment plan that they know they can realistically afford. If debtors are looking to a lower repayment plan then it should not be so low that creditors will not take the offer seriously. Debtors can discuss various options in the letter such as frozen interest payments for a period of time or paying the interest only for a period of time. There is no reason why debtors should not telephone their creditors to advise of their situation before sending a credit restructure request letter. This can be done with the intent of sounding out exactly what the credit restructuring options are. If the debtor is already in arrears then this will be a preemptive strike to make debtors aware that the problem is being taken seriously. It should also be an opportunity to find out exactly who to send the letter to in order to avoid the letter getting lost within a company. Debtors should look to their statements for any guidelines on procedures when requesting restructured credit terms. Credit companies may have set policies and procedures in place, and departments that deal with this type of request. Details of credit restructuring procedures may also be found on the original credit contract. This will save a lot of time if there are set procedures on how the request should be made and to whom it should be addressed. A credit restructure request is a formal business negotiation letter and should be set out in business like manner. Letters should be typed if possible, with a copy kept with the debtor. There are a number of important details to be included such as customer reference or account numbers and debtor contact details. Setting out the letter formally should mean it is taken seriously by the creditor. Further to my previous statement advising me of arrears on my account [Number above], I am writing to formally request restructured credit terms on my account. I am presently undergoing financial difficulties due to a decrease in income but have every intention of honouring our credit agreement. I have taken advice on this matter and hope that one of the following options can be applied to my account. I would like to restructure our agreement either by reducing the monthly repayments to [Amount] and extending the credit repayment period or by freezing the interest on this account for a period of time. If this is not a viable option then I would like to request a period of time where I can pay only the interest on the debt until I am able to resume full repayments. The decrease in my income is a temporary problem that I consider will continue for around four months. Please contact me at your convenience by letter or telephone call if the matter needs further discussion.